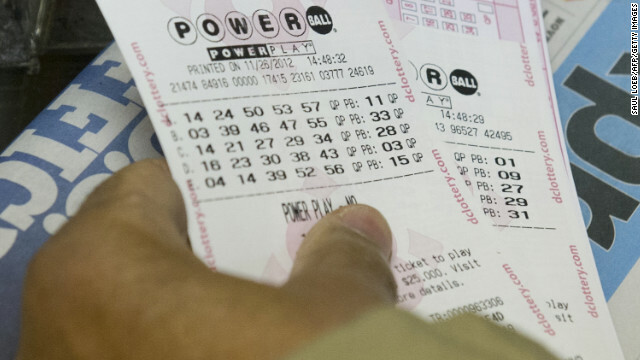 Until the winner of the $590 million Powerball jackpot comes forward, it seems the rumour mill surrounding the identity of the lucky Floridian winner is not going to stop. Almost two weeks have gone by since the lucky winner won their staggering prize, which was the second highest lottery jackpot won in the world ever and the biggest prize ever to be won by a single ticket. Since then residents in the small town of Zephyrhills have been speculating on who that winner could be, leading to rumours spreading not only across the state but across the world. At the centre of the rumours is an unidentified 26 year old single mother who lives in the town, who has been the suspected winner right from word go. However, even the most well-connected of residents cannot confirm her identity, with conflicting reports that she works as a cashier in the local McDonalds, Wal-Mart store or even the Publix supermarket where the ticket was sold. That Publix store also features heavily in local gossip. New rumours are now surfacing that the winners could be a syndicate of deli employees working at the store, after several workers on the counter allegedly failed to show up for work on the Monday after the draw. However, the small town also attracts a lot of visitors due to its popular sky diving experiences, so residents are considering that it could be a sky diving visitor to the town who bought the ticket. To keep up to date with the latest lottery results please visit Lottery.net. Last night’s Powerball jackpot was scooped by one lucky player, making this the third jackpot win in less than two weeks! This lucky winner follows in the footsteps of the unidentified $590 million winner from Florida and the three joint winners from Florida, Delaware and Louisiana who shared the $50 million prize last Friday. Considering we recently saw a whopping thirteen draws over two months go by without a winner (leading to that amazing $590 million prize), to have found FIVE jackpot winners in less than two weeks is remarkable! The cash value of last night’s jackpot is $24.9 million and all that is currently known is that the winning ticket was purchased in Texas, as was one of the Match Five prizes of $1 million. Luck continues to shine on the Sunshine State too, as one of the two $1 million Match Five prizes was scooped by yet another Floridian. This is the first time since Powerball has seen back to back jackpot wins since 2007, when three jackpots in a row were won by winners from Kentucky, Louisiana and Connecticut. Could this latest run of luck extend to Saturday’s draw and see yet another jackpot winner? We sure hope so! To read more about the Powerball and see the latest results for US state lotteries, you can visit Lottery.net. The last week has definitely been a lucky one for lottery players in Florida as two players from the Sunshine State have scooped Powerball jackpot wins! However, neither winner has yet come forward to claim their prize – including the $590 million winner from a fortnight ago and the more recent player who shared a third of the $50 million jackpot from last Friday. Whilst it is understood that the winners may be taking stock and organising their affairs before accepting their money – as “going public” is mandatory in Florida – there is still a chance that the players may not even know they have won! The importance of checking your lottery tickets after draws cannot be stressed enough, as the most common reason for unclaimed prizes is people simply not knowing they have won, which leads to the ticket expiring. Most lottery prizes have to be claimed within a certain time frame, which can range from 90 days to a year. After this, the unclaimed monies will be redistributed; sometimes to charities, local authorities or back into prize funds. Back in December 2011 a Hot Lotto jackpot worth $16.5 million went unclaimed after no winner came forward. This was Iowa’s biggest unclaimed prize, but there is a similar story in every US state which has lists of unclaimed lottery prizes, ranging from the small to the colossal. According to KXAN, Texas alone saw a whopping $52.3 million worth of prize money go unclaimed in 2012, and had racked up another $10 million in the first quarter of 2013. However, whilst there are some winners who don’t even know they have won, others do know – and still miss out. Mike Jarvis from Texas won an unspecified jackpot on a scratch card one Christmas – then left it in the glove compartment of his car, remembering it only ten months later, after the prize had expired. So how about these Florida winners? Do they know about their prize or are they totally in the dark? One things for certain, if I lived in Florida, I’d be checking my Powerball tickets right now. To read more about the US Powerball and other American state lotteries, you can visit Lottery.net.